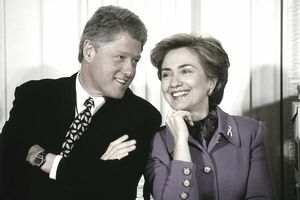 October 1993: "Harry & Louise" ads convinced constituents that Hillarycare was too complex and dangerous. Support evaporated. Many congressional Democrats offered their own proposals rather than support the administration’s plan. November 20, 1993: Senate Majority Leader George Mitchell introduced the bill S.1757 (103rd): Health Security Act to Congress.